You are here: Home / Guitar Effect / The Best Boss Pedals You Should Buy !! There are a lot of guitar effects out in the market today. The sheer number of it makes selecting one a complicated task. But out of all the guitar effects available on the market, some simply stand out. Some companies have proven their worth through the years and made their products a must have. 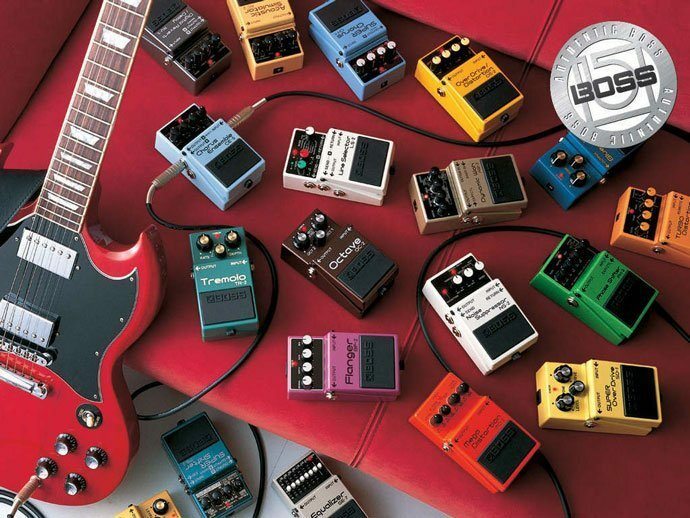 The best boss pedals paved the way for the new age of music. Before you have thought of buying your set of effects, you may already have heard Boss from your fellow friends and bandmates. This is actually great because it is already a testimony to its worth. A lot of people have already used this brand. The thing is, they liked it that's why they recommend it. Boss Corporation have been existing for 43 years. Since then, until now, they continue to make excellent durable effects. They also cater the evolving demand of the musicians in the industry. From that period onwards, many famous icons have used their products both in live and recordings. If you happen to be a fan of Nirvana, Kurt Cobain used Boss pedals during his career. Even Joe Satriani and Steve Vai favored the best boss pedals. Could it be that boss pedals are that amazing? Well, for starters, these famous musicians might not have used it if it weren’t all that good! Today, having one is not all that hard. With an active internet connection and a home address, you can easily find one online and get it delivered right to your doorstep. Did I mention they have warranties? The following best boss pedals are a great bunch to choose from and start at. Going over their features, we will be able to make the most and find the best way to use them. To see them under a bright light, we will explain further their function, sound quality, and their best usage. 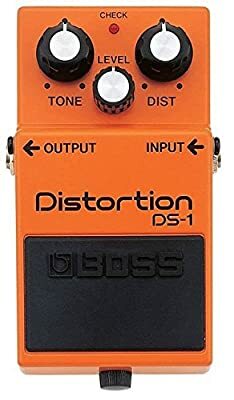 This Boss DS-1 Pedal alters the signal then sends it to the speaker cabinet. It has three knobs that control the level of your mix, tone, and the amount of distortion. It can operate both on a power brick and batteries. It weighs a little more than a pound and small enough to fit in your backpack. With this effect, you can get that dirty sound even at low volumes! It is straightforward and easy to use. Dial a setting you like, hit the stomp, and make music all day! With a lot of loopers out there in the market, Boss Corporation made one that competes and even beat their counterparts. 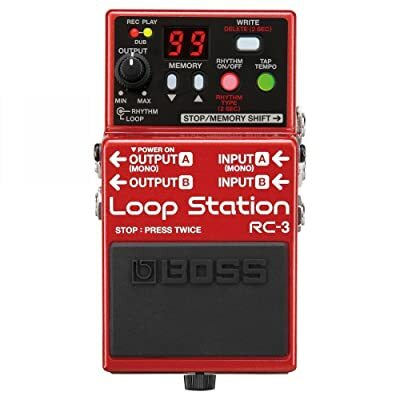 Boss’ RC-3 Looper has dual output and dual input allowing you to hook up multiple instruments and amplifiers. It also has a Stop/Memory Shift input jack for a separate footswitch to extend its functionality. It has a single knob to control volume, an up and down selector and two led light indicators that tell when you are recording and when you are overdubbing. If it that isn’t enough, they also added a USB port to download preset loops to expand your backing track selection and update the unit. To bring everything to the next higher level, the boss also included an auxiliary input. You could use a 3.5mm jack device to supply you with your backing tracks! You can record up to 3 hours or 99 tracks which are a vast improvement from its predecessor which can only record, at most, 6 mins. It is a pedal with a wide potential for possibilities! Among the three best boss pedals, this one is packed the biggest and heaviest. It is jam-packed with an insane number of stomps! It has programmable stomps and one pedal that doubles as volume control or wah depending on your setting. This is an intermediate pedal which requires working knowledge about effect settings. 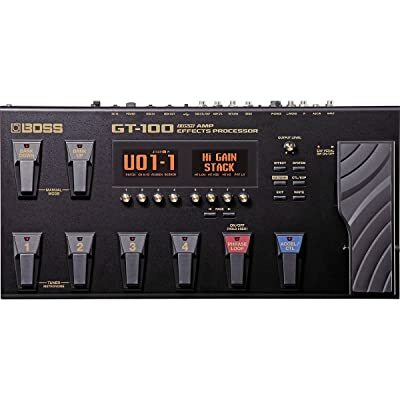 GT-100 has 200 presets and 200 more programmable effects setting. It has two small display screens that tell you the setting of your selected option. It is heavy and not as portable as the other two effects pedal. Since it offers a lot, you may not be needing anything else aside from your amp and your guitar. Apparently, this unit cannot run on battery because it will consume a lot of juice to function. It is powered by 9v DC, and it also has a USB port to update presets and upgrade version. 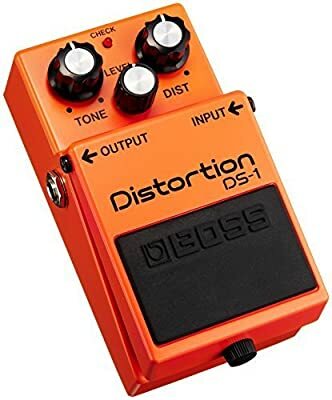 This distortion pedal is perfect for both beginners and pros. The simplicity of its design enables you to dial your favorite settings easily. Not complicated at all and the sound is just amazing. You can dial lots of different tones from this sweet box. 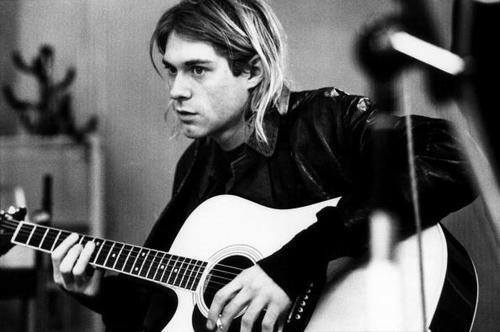 You can copy some of your favorite musicians like Kurt Cobain, who favored using this effect during their days. Take note that your instrument and amplifier also affect the sound you get. This guitar pedal, in my experience, works best with humbucking pickups. With single coil pickups, it may sound too thin and too trebly. It may also sound dry and screechy with single coils. Be careful enough and try it out with your instrument first to check if they have chemistry. This guitar pedal does not alter your signal. You will be happy to know that it does not have static unwanted signals. If you crank the volume up, like almost all guitar effect pedals out there, you might get this tiny hiss which is barely noticeable. Mixing up overdubs using different types of effects for each dub is more enjoyable and colorful than clean signal. Speaking of color, it can give more life to your live performances! 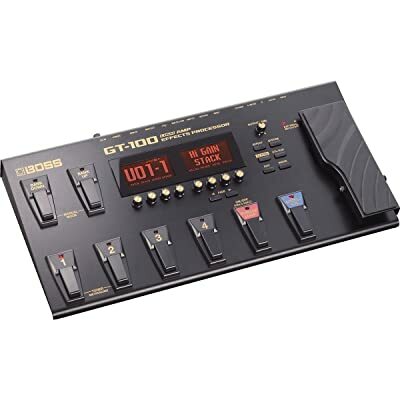 Out of the three effect pedals, GT 100 offers the most number of effects, presets, combos, loops, settings, configuration and stackable effects at the same time! From overdrives to distortion to out of this world fuzzes, you can dial it and stack it with other effects. With the sheer number of effects on its bank, the possibility is endless! 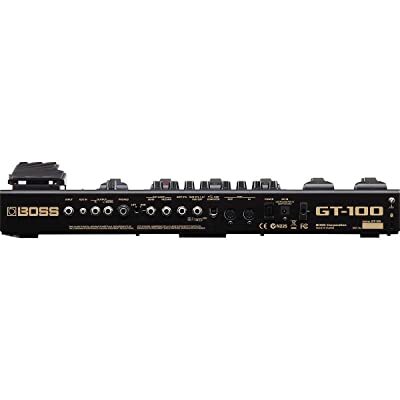 Another cool thing about GT 100 is it can emulate many different types of amp sounds! It’s like owning a few hundred pedals and a few different kinds of amps in just one multi-effect stomp! Because the effects are digitally stacked by the processor, it eliminates the static sound you get with patch cables giving you a cleaner sound, especially when recording. Distortion effects profoundly alter the signal in the chain by clipping its original soundwave. This gives it this unique, full and grungy sound. Distortion pedals are best placed after filters or compressors so that the signals are not heavily altered before entering this circuit. It would be hard to dial a right tone in your EQ if you place this after your distortion effects. 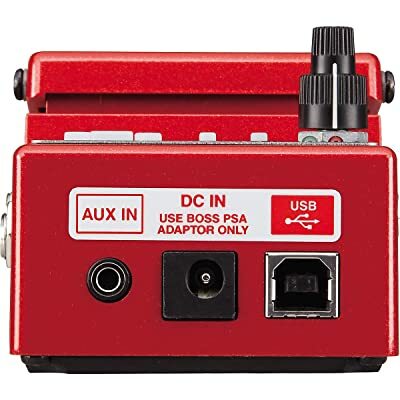 Boss DS1 is a great companion for your everyday gigs. It also proves it worth in recording songs at home or a studio. Since it acts like the recorder, it is ideal to be placed at the end of the chain since it does not alter the signal and functions only to record and play overdubs and backing tracks. If your band is one guitarist short, you can make up to it by using this effect! You can pre-record the riffs and hit the play button on stage solo on that backing track! This piece is a one item wonder for most guitarists. Having this one may eliminate the need to buy a few other effects since it almost has it all! You can bank different chains and execute in just a single foot stomp! You can store up different configurations and readily access it with a single stomp! This come in handy during live performances where consecutive songs use different effects selection! In short, these three best boss pedals serve different functions. Each one can be utilized separately and in harmony with other effects unit. Nothing beats the simple interface of single analog pedals. Dialing your tone is easier when each effect unit only does one thing. Sure, analog pedals offer ease of use and portability. Multi-effects stomp compensates for virtually having almost everything in the market. One more edge it has over single effect units is its USB slot. Upgrading your effects software has become easier ever easier with this feature. 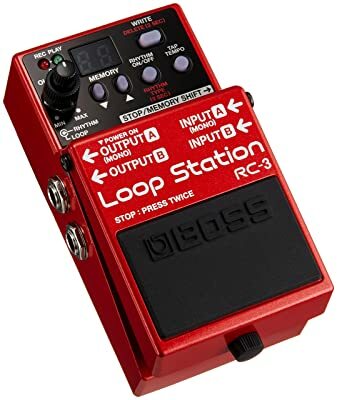 While GT100 also has a looper in its arsenal, it still cannot beat the dedicated Boss RC-3 ﻿﻿﻿Loop ﻿﻿﻿Station Pedal. Sure you can dub and overdub on GT100, but RC-3 can hold up to three hours of recorded presets and can be configured easier than GT100. A multi-stomp is much convenient than a chain of analog pedals if you have a regular gig every night. It eliminates a lot of time setting up your rig. Just take it out of your bag, plug it in a power supply and load your pre-configured setting and you’re ready to rock!